New Delhi is the Head Quarter for the Guild. This office manages all the centers run by the Guild and centrally coordinates with each facility. We have a Family Counseling Centre and Working Women’s Hostel here. The Family Counseling Centre, Delhi has been actively assisting women, men and adolescents in concerns relating to the problem and dispute in the family. The past year, the FCC Team comprising of Ms. Kalpana Bhongale (Senior Counselor), along with Ms. Komal Bedi (Counselor), Ms. Gitanjali Malviya (Advocate), saw a total of 131 reported cases, with 119 cases having being successfully worked. Clients are always encouraged to come for follow up sessions even after the official closing of their cases. Hostel is managed by Guild for Service, working towards the betterment of women. Amicable and very safe place is provided to the women who are working and are from outstations. These women have dared to come out of their inhabitance and struggle to work in foreign areas, for their independence and to achieve their goal. These facilities are not only provided to the working women but also to the students. Safe, spacious and affordable place is offered to them. Rooms have proper power supply, rooms are offered on single and double room on sharing basis. 24 hours security is also provided so the girls feel safe. Regular meetings are conducted with the Committee Members and the hostel girls to address the grievances if any. The hostel Committee regularly inspects the rooms and the kitchen to ensure that the standard of cleanliness and hygiene are being maintained and the rules of the hostel are strictly followed. 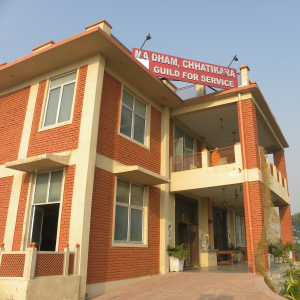 The Hostel is managed by Ms. Sharla James (Warden).